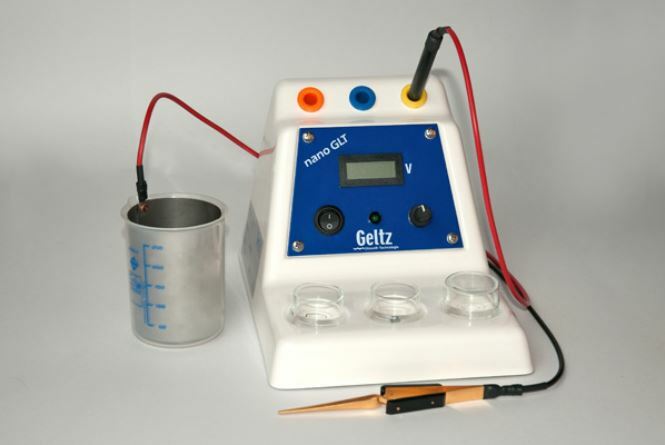 We manufacture electroplating systems according to your special requirements and space conditions. Here, too, you can rely on our many years of experience. 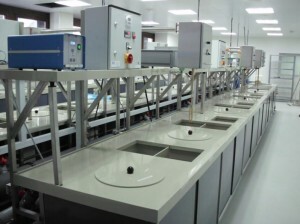 Standardized compact plants as well as tailor-made test, laboratory and production plants are part of our program. Contact us for more information. The complete small electroplating system with integrated water treatment. 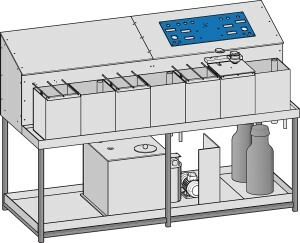 Three working tanks with a capacity of 15 litres, a decanting tank and the environmentally required triple flushing technology are realised in a minimum of space. Due to the revised, modular design, the system can be individually adapted to your wishes. 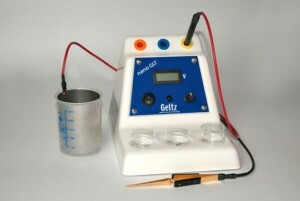 The robust pen plating unit, equipped with high-quality semiconductor technology. Short-circuit-proof and powerful. Easy to operate in a sturdy housing made of fibreglass-reinforced plastic. Available as basic and complete version, without compromises in quality.